Contact persons: Professor Anna Godhe, Anna passed away in early April 2019, Rest In Peace! The Department of Biological and Environmental Sciences is beautifully situated within the Botanical Gardens of Gothenburg. It is a merger between the former departments of Marine Ecology, Plant and Environmental Sciences and Zoology that took place on 1 January 2012. Anna Godhe used to belong to the Dept. of Marine Ecology. 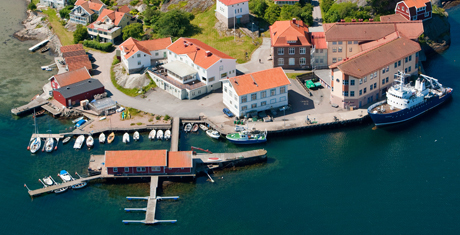 The Ocean Acidification Infrastructure Facility – Kristineberg is part of the department. Read more below. Anna Godhe defended her doctoral dissertation on ”Benthic and pelagic dinoflagellate stages: environmental settings, cyst viability, and molecular identification” on 18 October 2002. Faculty opponent was Marianne Ellegaard, Associate Professor, Dept. of Botany, University of Copenhagen, Denmark. Read the abstract. After completing her PhD, Anna Godhe has for several years studied the dynamics between the planktonic and benthic stages of microalgae. Within her research she investigate how algal blooms are seeded, what is the temporal and spatial range of a phytoplankton population, and how do phytoplankton interact with higher and lower trophic levels. In collaboration with PhD students and colleagues from Sweden and abroad she combines laboratory and mesocosm experiments with field studies, and applies advanced molecular techniques such as QPCR, microsatellites, and DNA sequencing. Her PhD supervisor was Dr. Ann-Sofi Rehnstam-Holm. Later Dr. Rehnstam-Holm, now working at the School of Education and Environment, Kristianstad University, has become Anna’s partner in the Mangalore projects. She has been the recipient of some of the research grants that has been given to the project. In August 2010, Anna Godhe participated in the Second Nordic Conference on South Asian Studies for Young Scholars, organised by SASNET in Falsterbo. She led a thematic session on Nature, Health & Environment, besides holding a speech on ”Academic Career: Publishing, Teaching, Networking”. More information about the 2010 Falsterbo conference. 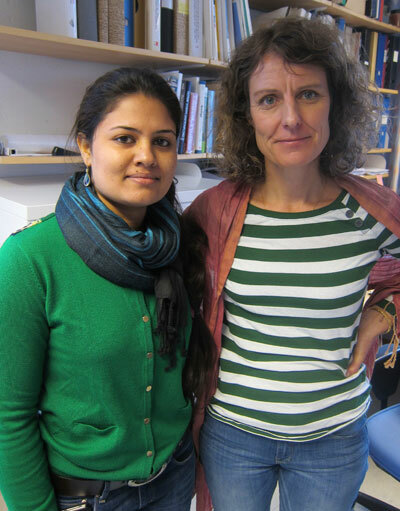 PhD candidate Gurpreet Kahlon and Dr. Anna Godhe at the department,during a visit by SASNET deputy director Lars Eklund on 19th April 2013. Since the mid-1990s, Dr. Anna Godhe and her colleagues at the former Dept. 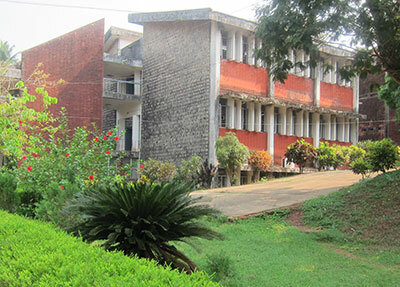 of Marine Ecology have been involved in a long-standing and fruitful research collaboration within the field of Marine Ecology with the Karnataka Animal Veterinary and Fisheries Science University, and especially the Department of Fishery Microbiology at its Fisheries College located in Mangalore on the Indian west coast. The research focuses on Toxic Algae, their Ecology, and about Methods to develop Identification and Detection of these Algae, along the south-west coast of India. Several joint research projects have taken place, as well as other forms of collaboration. 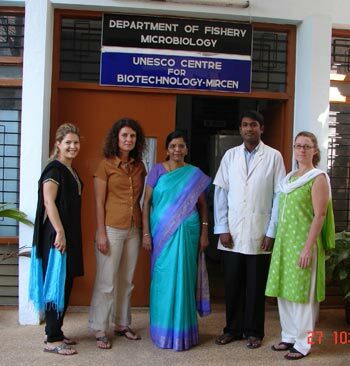 The main research partners on the Indian side is Professor Indrani Karunasagar (photo to the left), and previously also Professor Iddya Karunasagar (who is now working for the Food and Agriculture Organization of the United Nations, FAO, in Rome).The Department of Fishery Microbiology has got international prominence, being recognized by UNESCO as a MIRCEN (Microbial Resource Center) in Marine Biotechnology. 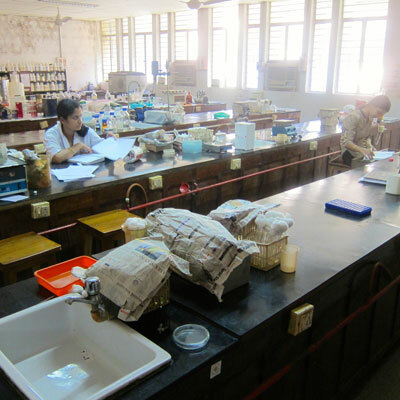 The mission of the Department is to impart education and carry out research in the area of Fishery Microbiology. There is an excellent combination of courses in both traditional microbiology and modern molecular biology. In March 2013, SASNET deputy director Lars Eklund visited the Fisheries College in Mangalore, and met the Indian collaboration partners led by Prof. Indrani Karunasagar, as well as a number of Sweden based researchers, including Dr. Arvind Singh, Dr. Ashwin Rai, PhD candidate Gurpreet Kahlon, and PhD candidate Alin Kadfak (Kadfak based at the Division of Human Ecology at the School of Global studies, University of Gothenburg). 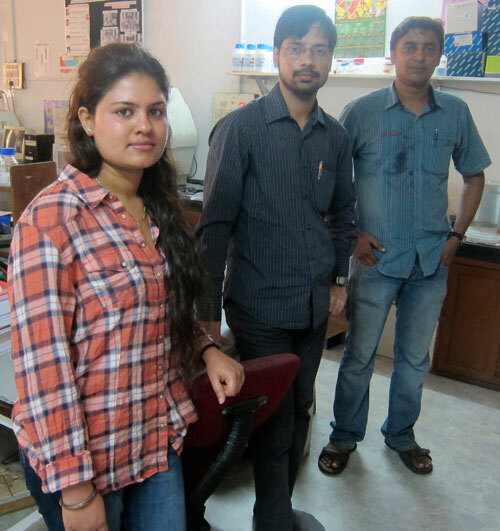 They were all in Mangalore in order to take part in a major mesocosm experiment on the effect of climate-induced changes in hydrography on species of harmful algae and pathogenic bacteria in the Indian Ocean. More information about Lars’ visit, see below.The project, first entitled ”Use of molecular techniques to study the influence of benthic resting stages on the dynamics of harmful algal along the south west coast of India”, was funded by a grant from Formas–Sida/Sarec (2005-07) and by a Swedish Research Links grant from the Swedish Research Council (2006-08). Abstract of project: Several microalgae produce toxins that can accumulate in shellfish, pose threat to human health, and cause economical loss. Many of the microalgae form resting stages that can survive in the sediment for decades. Resting stages are often referred to as seed banks for future blooms, but we still lack information on the influence of benthic life stages on phytoplankton dynamics. Export of aquacultural products, mainly shrimps, is an important mean of earning foreign exchange in India. Lately the export of shrimps has declined due to several factors and government agencies are promoting oysters and clams as side crops. Despite a long coastline there are few scientist experienced in algal monitoring. This project encourages phycological research in India. The specific aim of the study is to investigate the significance of the resting stages and how important they are for the onset of harmful algal blooms along the south-west coast of India. We will use both microscopic and molecular techniques to determine the source of phytoplankton blooms. In mesocosms, we will study the influence of resting stage addition to phytoplankton community development. Molecular methods will include primers targeting microsatellite loci in a bloom forming phytoplankton species. We will obtain genetic fingerprints of the benthic and planktonic populations sampled in field. Results will contribute much needed information on the benthic-pelagic coupling and the factors controlling phytoplankton blooms. In November 2006, Dr. Godhe received SEK 2.3 m as a three-years grant (2007-09) from Sida’s Developing Country Research Council (U-landsforskningsrådet) and SEK 602 000 from the Swedish Research Links programme for the project, now entitled ”Inter-relation between bacteria and phytoplankton blooms along the south-west coast of India – applying advanced molecular techniques”. it dealt with species within the bacterial genus Vibrio, being autochthonous in estuarine and seawater environments. The genus contains a great diversity of pathogenic species, including V. cholerae. In India 25% of all diarrhoeal diseases can be attributed to vibrio infections. Phytoplankton are vital for the marine ecosystem. When the environmental settings are suitable, algal blooms develop to high densities. 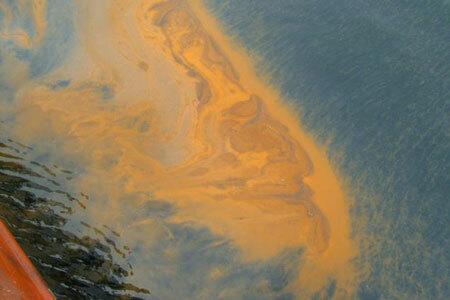 About ten percent of all algal species are harmful, and there are solid evidences of a global increase. This project was also funded with SEK 942 000 as a Joint Formas – Sida/SAREC grant for research on sustainable development in developing countries, for the period 2007–09. More information about the South Asia related Formas–Sida/SAREC grants awarded in June 2007, with a project description in Swedish.In December 2009, Anna Godhe received SEK 750 000 as a three-year International Collaborative Research Grant from the Swedish Research Links programme (funded by Sida and the Swedish Research Council) for the Indian Ocean project, now entitled ”Mitigating effects of harmful algal blooms in the Arabian Sea”. See the full list of South Asia related projects given Swedish Research Links grants 2009. The main collaboration partner was now Dr. M N Venugopal at the the Karnataka Veterinary, Animal & Fisheries Sciences University. The same year, Anna Godhe was granted funding for one more project that takes place in the period 2010–2012 entitled ”Climate induced changes in phytoplankton community structure: The role of harmful algal species in the Arabian Sea”. The project aimed to understand how climate-induced changes in sea surface temperature (SST), salinity, pH, and sources of macronutrients may affect the phytoplankton community structure, and to identify environmental drivers of harmful algal bloom (HAB) species. Such knowledge will enable us to foresee effects in the marine food web affecting e.g. fisheries, and assess the risks HABs pose to human health under present and future environmental conditions. The project was implemented in collaboration between several Swedish and Indian institutions. From the Swedish side: Dr Ann-Sofi Rehnstam-Holm from Kristianstad University, and Betty Kronkvist, Sahlgrenska Akademy, University of Gothenburg; as well as Dr Lars Edler (SMHI) working on Taxonomy, identifying species of algae. From the Indian side. Dr Iddya Karunasagar, Dr Indrani Karunasagar, Dr Ashwin Rai, Dr HRV Reddy, Dr MN Venugopal and Chetan Reddy from the Karnataka Veterinary Animal and Fisheries Sciences University in India, as well as Dr R Ramesh, and Dr. Arvind Singh from the Physical Research Laboratory, Ahmedabad, India. Funding agencies were again Swedish Research Links and SIDA-Formas. 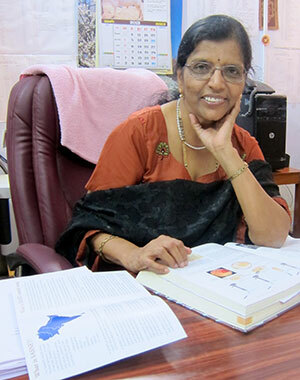 In November 2013, the Swedish Research Council decided to give Anna Godhe SEK 4.2 million as a three-year (2014-16) U-forsk grant for a project entitled ”Human health and well being at risk: scenarios for climate change induced harmful microbial blooms along the Indian west coast”, to be carried out in collaboration with Dr. Per Knutsson, School of Global Studies, University of Gothenburg; Prof. Indrani Karunasagar, College of Fisheries, KVAFSU, Mangalore; and Ramachandra Bhatta, Ministry of Environment and Forests, National Centre for Sustainable Coastal Management, Chennai. More information about the South Asia related U-forsk grants 2013. Till 2011, the U-forsk (developing country research) grants programme was administered by the Swedish International Development Cooperation Agency, Sida, but it has now been taken over by the Swedish Research Council. The aim is to establish and maintain a knowledge base of relevance to aid and development issues, plus capacity for developing country research in Sweden. Individual researchers or groups of researchers working at universities/colleges or other research institutions in Sweden have been able to apply for a grant. Swedish citizens working at the Scandinavian Institute for Asian Studies (Nordiska Asieninstitutet, NIAS) in Copenhagen have also had the opportunity. Project abstract: There is an evident rise in the numbers of harmful algal and bacterial blooms recorded around the world. The potential for further increase as a consequence of climate change has so far received little attention. Even less focus has been given to the complex risks caused by the direct and indirect associations between climate change, marine microbes and human wellbeing, and how such risks can be assessed and governed. With a focus on the west coast of India, this study will identify climate change conditions under which species of toxic microalgae and marine pathogens proliferate and identify the adaptive mechanism for the success. We will in controlled experiments investigate the susceptibility of infection and exposure to algal toxins in bivalves and cultured prawns during elevated temperature and lowered salinity. Simultaneously we will study the influence of rapid urbanization on the use and consumption of bivalves and cultured prawns in coastal urban areas and thereby assess the infrastructural, human and institutional vulnerability to the risk of climate induced effects on seafood. By systematically and empirically link specific biophysical risks to infrastructural, human and institutional vulnerabilities, the study will provide a policy relevant synthesis in the form of alternative risk scenarios. The study is expected to contribute to risk assessment and management of complex environmental risks influenced by changing climate- and socio-economic conditions. PhD Candidate Gurpreet Kahlon (photo to the right) holds a position that came to be as part of an initiative by University of Gothenburg in 2011 to establish a Graduate School in Marine Environmental Research (more information). Funds were provided for two PhD projects within an India related project on ”The Effects of Climate Induced Changes in the Arabian Sea on Marine and Coastal Socio-Eological Systems in India”, jointly run by researchers at the University of Gothenburg divisions of Human Ecology and Marine Ecology. Gurpreet Kahlon is one of the two selected PhD candidates, Alin Kadfak at Human Ecology, School of Global Studies, is the second. Gurpreet’s research focuses on climate changes in the pelagial (bacteria and algae) in the Arabian Sea. In mid-2014, Dr. Lucy Turner (photo to the left), Research Assistant in Marine Ecophysiology and Molecular Biology at the School of Marine Science and Engineering, Plymouth University, UK, joined the department as a post-doc in zoophysiology at University of Gothenburg. Lucy is a biologist who works across aquatic and terrestrial ecosystems on a variety of species, particularly crustaceans and molluscs using a range of techniques, from molecular methods, to physiology and ecology. She defended her doctoral dissertation entitled ”A role for Crustacean Hyperglycaemic Hormone (CHH) in the Regulation of Kidney-like function in Freshwater Land Crabs” in 2010. Her recent research has been focused on understanding the physiological responses of marine invertebrates to global climate change (warming and acidification). Ultimately, her aim is to use this integrated biological approach to inform the long term conservation management of species in the context of ongoing global change scenarios.At University of Gothenburg, Lucy Turner is supposed to work with Anna Godhe’s multi-disciplinary project looking at the effects of climate change stressors (decreased salinity and warming) on the prevalence of toxic phytoplankton (PST and DST) and pathogens (Vibrio spp.) and their uptake by marine shellfish in south-western India. The overall aim of the project is to produce an integrated risk assessment using expertise from biologists and social scientists to ascertain how humans can successfully exploit these shellfish species (through both subsistence farming as well as more large scale culturing methods) as a protein source in the face of human population expansion and global climate change. Dr. Karolina Härnström was as a PhD candidate a member in the project. 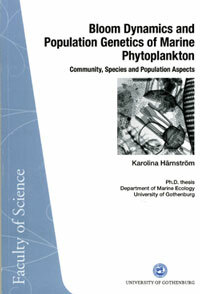 After completing a Masters degree in Biology at the University of Kristianstad, she defended her doctoral dissertation thesis, entitled ”Bloom dynamics and population genetics of marine phytoplankton – Community, species and population aspects” at University of Gothenburg on 25 September 2009. The faculty opponent was Dr. Tatiana Rynearson, University of Rhode Island Graduate School of Oceanography, Coastal Institute, Narragansett, Rhode Island, USA. Her main supervisor was Anna Godhe and her assistant supervisor Associate Professor Ann-Sofi Rehnstam-Holm at the Dept. of Mathmatics and Natural Sciences, University of Kristianstad. In India, Karolina Härnström was supervised by Professor Karunasagar and Dr Karunasagar. Abstract: The general aim of this thesis was to study marine phytoplankton dynamics at community, species and population level. Karolina has focused on the interaction between water mass and sediment, both in temperate waters and in a tropical area (Mangalore, India) investigating the importance of resting stages and small-scale hydrographical changes for the phytoplankton community structure as well as population genetics and microevolutional processes of population dynamics. The results from coastal south-west India show that benthic resting stages contribute to blooms by resuspension, germination, and proliferation as planktonic cells in the water column, and thus, the cells can influence the phytoplankton community in the water column. There can be an alternation of the species composition if a plankton community is seeded by resting stages or by planktonic cells, and geographically the strategies of seeding can differ within the same species. More information. During the academic year 2011/12, Dr. Arvindh Singh from the Physical Research Laboratory in Ahmedabad, India, worked at the department. He came to Sweden on a post-doc scholarship granted by the Swedish Institute (SI). He has been actively involved in multidisciplinary research in oceanography for the last five years. After obtaining his masters in Physics, he gained experience in using stable isotopes to understand the oceanic processes during his Ph.D. Subsequently, he has participated in a ten month program in multidisciplinary observational oceanography at Bermuda Institute of Ocean Sciences (BIOS), Bermuda. PhD candidate Maria Asplund also joined the project from from 2007. Maria holds a Masters degree in Marine Biology at the University of Göteborg. Her main supervisor is Anna Godhe and her assistant supervisor is Associate Professor Ann-Sofi Rehnstam-Holm. In India Maria Asplund is supervised by Professor Karunasagar and Dr Karunasagar. In November 2013, Associate Professor Henrik Aronsson (photo) was given SEK 751 000 as a Swedish Research Links grant for a research project entitled ”Molecular breeding of wheat varieties tolerant to salinity” to be carried out during the three-years period 2014–16. The project aims at developing new wheat (Triticum aestivum L.) varieties with an increased tolerance to salinity for cultivation in Bangladesh coastal belts. The collaboration partner on the Bangladeshi side is Dr Abdul Kader at the Department of Agronomy, Bangladesh Agricultural University (BAU) in Mymensingh. Swedish Research Links grants were introduced by Sida and the Swedish Research Council in 2002, with an aim to stimulate cooperation between researchers in Sweden and those in selected developing countries. From 2013, The Swedish Research Council has taken over the responsibility for all Swedish development research. The long-term aim of the programme is to contribute to mutual scientific and socioeconomic development of the countries involved through funding for support to collaborative research projects of high scientific quality and mutual relevance. See the full list of projects granted Swedish Links (Asia) grants 2013 (as a pdf-file). Project abstract: Genotypes will be selected under vulnerable agro-ecological conditions for crop production, mostly during the dry season. The starting point will be the most successful wheat varieties already under cultivation in Bangladesh. By having a high root biomass and low transpiration rate they are already fairly well adapted. However, a further variation is needed, which will be accomplished by the introduction of EMS (Ethyl Methane Sulphonate) based mutations according to previously established protocols. The aim is then to select lines with increased tolerance to salinity from the mutated populations. The background is that Bangladesh is one of the countries under the maximum threat of climate change. It is expected that both salinity and drought conditions of the country will aggravate further, which will call for immediate development approach for newer plant varieties to sustain food production leading to food security. More information about the research project. 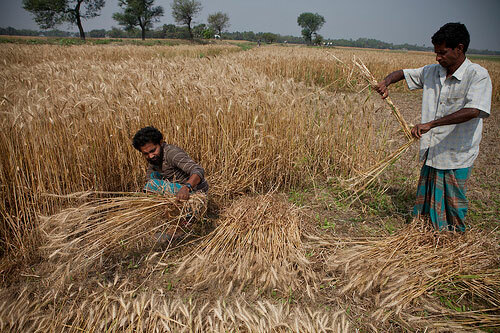 Background: Wheat is the second most important cereal crops of Bangladesh but high salinity in the soil is a crucial problem affecting plant cultivation in many parts of the country. By taking advantage of modern molecular plant breeding activities, a TILLING ( Targeting Induced Local Lesions in Genomes) population made in Sweden to screen for wheat tolerance against salinity, the issue can be immediately addressed, i.e. tolerance to high level of salinity in the soil. TILLING is a method in molecular biology that allows directed identification of mutations in a specific gene. The Wheat Research Center in Bangladesh (WRC), one of the six Research Centres of the Bangladesh Agricultural Research Institute (BARI), is located at Nashipur, about 15 km to the north of Dinajpur town. WRC is responsible for working on wheat breeding and salt tolerance, thus they are engaged in similar activities. However, there is need for extensive and intensive attention over a period of time with a good number of scientists having direct involvement to solve these problems. Thus there is need for a comprehensive project to challenge the climate change issues where scientists from Universities, Institutes of both Sweden and Bangladesh work jointly and take advantage of the two seasons by cultivating both in Sweden (Spring) and in Bangladesh (Winter). This will speed up advancements in the breeding part of the project. In 2012 scientists from Bangladesh invited Professor Olof Olsson from the Department of Pure and Applied Biochemistry at Lund University (LU) – previously based at Department of Chemistry and Molecular Biology, Gothenburg University, along with Henrik Aronsson and Dr Sazzad Karim from University of Gothenburg (GU), for a visit to Dhaka where a collaborative phase started including scientists from Bangladesh Agricultural University (BAU) and the Advanced Seed Research and Biotech Centre (ASRBC) housed by ACI Ltd. In the summer 2013 a representative of ACI Ltd then visited Sweden to see the progress of the production of the wheat TILLING population. In November 2013, Olof Olsson and Henrik Aronsson brought to Bangladesh the developed wheat population using the TILLING method. The materials will be used by BAU and ASRBC for field tests. Sustainable continuation with appropriate direction for growth needs human resource development. This project can effectively support the BAU and ASRBC with training skills and advancing the knowledge through postgraduate studies. It is where both Aronsson and Olsson with their teams can considerably contribute. Dr. Sazzad Karim (photo) is working as a post-doc researcher in the department, being a member of Associate Professor Henrik Aronsson’s research group focusing on Intracellular Protein Targeting with Emphasis on Chloroplasts. In March 2013, the department recieved SEK 40 000 as an initial grant from the Swedish International Programme Office for Education and Training, when it decided upon the fourteenth round of Linnaeus Palme Exchange Programme grants, for the period 1 July 2014 – 30 June 2015. It is an exchange programme regarding teachers and students with Bangladesh Agricultural University (BAU) in Mymensingh. The Swedish coordinator is Associate Professor Henrik Aronsson. Under the umbrella of this project it is planned to use the expertise from GU to be fully exploited in assistance in training/teaching of a larger audience of scientists, postgraduate and undergraduate students of Bangladesh by being in Bangladesh for longer periods. Such a model will be both cost effective and sustainable. Thus, Prof. Aronsson and other colleagues at GU will stay in periods to perform lecturing with focus on Plant Biotechnology while the opposite is true also for scientist from BAU that will bring in their expertise to GU to provide expertise mainly in breeding and horticulture aspects. More information about the South Asia related Linnaeus Palme projects for 2013-14. Multidisciplinary research centre at University of GothenburgThe Mangalore project was further strengthened during 2012, since the Gothenburg Centre for Marine Research, a multidisciplinary research centre at University of Gothenburg established in 2011, has granted funds for providing two PhD projects within the India project. The project is run through the Centre for Environment and Sustainability (GMV), jointly run by Chalmers University of Technology and University of Gothenburg. One of the PhD candidates, Gurpreet Kahlon (presented above), is now supervised by Anna Godhe and deal with climate changes in the pelagial (bacteria and algae) in the Arabian Sea. The second PhD candidate, Alin Kadfak, supervised by Dr. Per Knutsson, School of Global Studies, and focus on societal changes taking place along the Indian west coast due to effects of the blooming of toxic algae and bacteria in the sea.Sri Lanka projectIn November 2012 Dr. Godhe together with collaboration partner Darshanee Ruwandeepika, Sabaragamuwa University of Sri Lanka, received a Swedish Research Links (Asian–Swedish research partnership programme) grant on SEK 750 000 for the project “Climate induced changes in the pelagic microbial communities: assessing the response of harmful algae and pathogenic bacteria in coastal water of Sri Lanka“.See the full list of South Asia related projects given Swedish Research Links grants 2012.Abstract: The project aims to understand how climate-induced changes in hydrography will affect species of harmful algae, pathogenic bacteria and the inter-relation between those. This will be done by initially isolating relevant species from Sri Lankan coastal water. Thereafter we will conduct manipulated experiments in Sri Lanka in which we look at the fitness of the selected species under ambient and future oceanographic settings. In Sweden we will conduct yet another manipulated experiment where we will study the expression of functional genes of the same species under increased and ambient temperature, decreased and ambient salinity, and increased and ambient pCO2. The two PIs will jointly be responsible for all the scientific experiments. The rational for using our sets of variable for the manipulated experiments are based on IPCC climate projections, and on our own analyses of long-term hydrographic monitoring data set from the region. Our intention is to build a strong collaboration between Sweden and Sri Lanka, to generate good and relevant scientific results and to publish our findings in high ranked international scientific journals. Our results will contribute to sustainable development in tropical countries dependent on export of marine products. We will promote focused microbial monitoring of coastal water, which will ensure safe bivalves-an environmental friendly protein source. 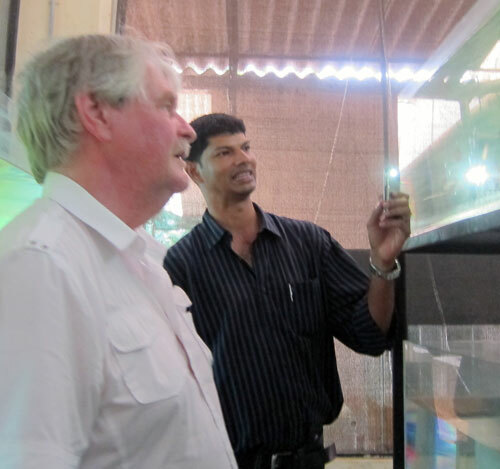 On Monday 11 March, Lars visited the College of Fisheries in Mangalore. He was hosted by Professor Indrani Karunasagar, who informed about the university’s international collaboration that also include a major vaccine platform project with a number of Norwegian institutions, among them Tromsö University, and involving eight Indian research institutions. Mangalore is also member of the Erasmus Mundus Action 2 mobility programme coordinated by University of Ghent, Belgium. Professor Karunasagar also informed about other international collaboration programmes, for example with American universities on the issue of fish poisoning, and harmful algae blooms. In 2008, an international workshop was organised, it was entiteled ”Taxonomy and Ecology of Harmful Algae & Study of Biotoxins”.Another collaboration involving both Mangalore and Swedish researchers is a project together with Dr. Darshanee Ruwandeepika, Sabaragamuwa University of Sri Lanka. See above. Two Mangalore researchers were at the time based in Gothenburg, Dr. Arvind Singh (later moved to a post-doc position in Kiel, Germany), and PhD candidate Gurpreet Kahlon, and happily enough they were both in Mangalore at the time of Lars’ visit, since they had come to India for a major mesocosm experiment on the effect of climate-induced changes in hydrography on species of harmful algae and pathogenic bacteria in the Indian Ocean. The experiment should start on March 18th, and the project leader Dr. Anna Godhe was supposed to arrive from Gothenburg a few days later. This mesocosm experiment focuses on the dynamics of Trichodesmium in the Arabian Sea in the climate change scenario. Trichodesmium is a cyanobacterial diazotroph which is an important Nitrogen fixer and their bloom occurs regularly in the Arabian Sea during spring intermonsoon. Nitrogen is limiting nutrient for primary production in the surface ocean and most part of the reactive nitrogen is received in ocean by Trichodesmium. Climate change scenario as predicted by IPCC has potential to impact the marine nitrogen fixation. Therefore it is important to address the questions related to impact of climate change parameters (such as rise in temperature, decline in salinity and pH) on nitrogen fixation.Arvind and Gurpreet informed about the project, and so did Dr. Ashwin Rai – who also demonstrated an aquarium fish farm that he runs outside Mangalore (photo to the left).Lars also got a chance to meet two final year Biology students from Kristianstad University, Patrick Callan and Victor Englund, who arrived on the same day, funded by Minor Field Studies (MFS) scholarships to take part in the mesocosm experiment, staying for six weeks. Gurpreet Kahlon, Arvind Singh and Naveen showed around the well-kept laboratories at the Fisheries College. 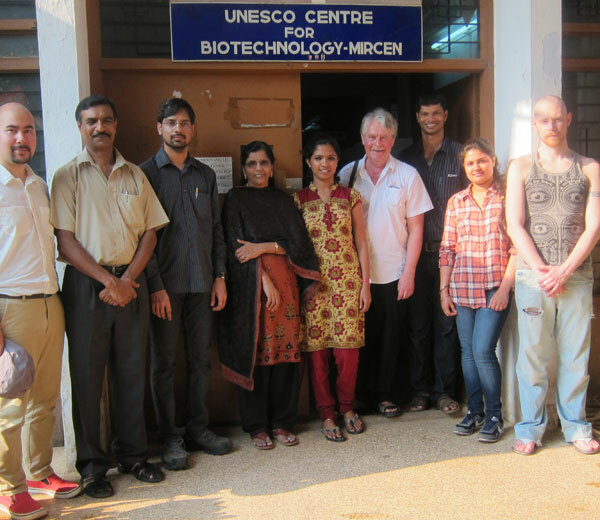 In April 2014, University of Gothenburg announced a two-year post-doc position in Zoophysiology for a multidisciplinary research project carried out on the Indian south-west coast. The project, financed by the Swedish Research Council, deals with the effect of climate change parameters on the marine trophic chain and how it influences human health. The geographical site of focus is Mangalore in south-west India, a coastal town by the Arabian Sea. More precisely, the physical-biological links investigated are how increased temperature and sea surface salinity affect abundance and fitness of marine pelagic pathogens and harmful algae. Also, the researchers will study the effect of the same parameters on the susceptibility of bacterial infection, toxin accumulation and depuration of bivalves. Ultimately the effects on human health will be dependent on consumer behaviour, and therefore an assessment is made on the influences of rapid urbanization, institutional-, and infrastructural vulnerability. The intention is to create a synthesis of the biological risks and socio-economic vulnerability factors. The project is a collaboration between four academic institutions: The Department of Biological and Environmental Sciences, and the Department of Global Studies at University of Gothenburg, Sweden, and the Department of Fishery Microbiology at Karnataka Veterinary Animal and Fisheries Sciences University in Mangalore, India, and finally the National Centre for Sustainable Coastal Management, Ministry of Environment and Forests, Chennai, India. The team consists of four senior researchers with complementary skills. One technician and two PhD students are already enrolled. The postdoc will mainly be responsible for implementing a base-line study of algal toxicity and bacterial load of wild bivalves along the SE coast of Arabian Sea. The post-doc will also conduct manipulated experiments investigating physiological responses of bivalves and cultivated prawns under climate change scenarios. Full information about the position. Dr. Sam Dupont is a Senior post doctoral fellow at the Dept. of Biological and Environmental Sciences, and coordinator of the Ocean Acidification Infrastructure Facility – Kristineberg. Personal web page. 1/ Identify common pathways involved in nervous regeneration in phylogenetically closely-related species with very different regeneration strategies, at three levels of regulation: transcriptomic, proteomic and epigenetic. 2/ Conduct a comprehensive integrative analysis to clarify and conciliate the different levels of regulation: transcriptome, proteome and epigenome. University of Hong Kong. They discuss how they can work together on a project aiming at integrate a proteomic approach in the study of the impact of ocean acidification on marine species and ecosystems.